I’ll be honest, I had high hopes for this movie. After seeing the first trailer, I was totally on board and it was another one of my more anticipated movies for the year. It’s unfortunate that much of the world won’t get to see it the way I did. I’m lucky that I’m one of the countries in which this film was released in theaters, the others being the U.S and China. The rest of the world will get to see it on March 12th when it premieres on Netflix. Why is that? Because some financier thought the movie was ‘too intellectual’ and ‘too complicated’ and when director Alex Garland and producer Scott Rudin refused to change it (and thankfully Rudin had final cut, aka final say), they apparently got cold feet. So, they shuffled it into fewer theaters than usual in three countries right between Black Panther and A Wrinkle in Time, ie, basically setting it up to fail. There's a good video explaining all of this HERE. To the rest of the world, I’m sorry studio interference means you won’t get to see Annihilation on the big screen. I really am, because it’s a damn shame. This was everything and more than I’d hoped for from The Cloverfield Paradox. This was the high-brow, smart, hard-sci-fi movie that I’ve wanted more of since Arrival. Let’s start with the cast, because they are amazing. We have Natalie Portman, Oscar Isaac, Tessa Thompson, Jennifer Jason Leigh, Benedict Wong… and that’s just a start. One of the changes I’d read they wanted to make to this movie was to make Natalie Portman’s character ‘more sympathetic’. Why? Heaven forbid a female character should be flawed. 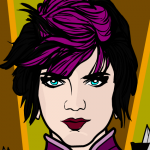 In fact, I’d rather see characters like this that are imperfect. I really loved the fact that the team we get to see go into this mysterious ‘shimmer’ is all women from STEM backgrounds. I love seeing us ladies get right in on the action in these kinds of films. And it isn’t just Portman’s Lena that gets to be flawed and human, all of the women get to have their own reasons and own reactions to going into the shimmer and what happens inside. It’s not overdone and we’re bogged down with exposition, but it’s enough to know who and where the character’s at and give them some, well… character. Had to include this one. My kid said it made them look like Ghostbusters. I want to leave story till last so I want to go over visuals and sound next. There is only one word for both: stunning. The music for the most part follows a theme or genre for much of the movie, and adds to the tone really well. In the climax of the film the music changes, and it really accentuates the story, and might even be a greater part of it than you first think, depending on your interpretation. When I say it changes, it keeps the underlying tone from earlier, and one-eighty’s everything on top of that into something completely different. It’s jarring, and it’s supposed to be, but it was also fascinating. I’m actually listening to the score right now as I write this, and it’s just as haunting and beautiful by itself. The visuals on the other hand, spectacular throughout. There’s no way to describe how beautiful this film is. Even when things are dark or violent or just plain macabre, it’s just visually astounding. Even watching the end credits is gorgeous (and trippy). The camera work is fantastic, too. Just… the way it shots were framed, and the way light and shadow were used, the big, sweeping shots, and the up close, personal ones, it was all done so well. I don’t want to say more because I don’t want to spoil anything about it. So let’s do it, let’s talk about the story. Getting it out of the way, yes there are some horror elements in the story. Not enough to overtake the science fiction aspect, but enough to keep you on your toes in places. But it’s smart, it makes you think, it leaves you with questions and things you have to interpret for yourself. It doesn’t explain everything, and it doesn’t need to. That’s one of the great things that sci-fi does, leave ambiguities for the audience to draw their own conclusions. And I’m so glad they didn’t change the ending, because I can come up with some theories on how they would’ve done so to make it ‘less complicated’, and they all would’ve been awful or undermined the whole thing but making it too neatly wrapped up. There was a different ending originally written for the script, apparently, and I'm sorry, I don't like it at all. It does those things I just talked about above, plus one other thing that sounded really sequel-baity (warning, spoilers in the article). I really do want to talk about the story, but at the same time the less you know going in, the better. That way you can form you opinion as you go and not have anything preconceived going in. There are elements that remind you of other sci-fi properties, but not in a glaring or heavy handed way. Like, there’s one scene that just visually, is very Alien-esque, but doesn't feel derivative. My other half got a Predator vibe in places, while I leaned tended to lean towards more of a The War Against the Chtorr feeling. aka, some of my favorite books ever. If you’ve seen the trailer, you’ve seen enough. Don’t spoil it for yourself. In conclusion? This was an excellent movie. I didn’t really have any problems with it and in fact I was totally on board with it all the way. If you live in one of the countries in which it has a theatrical run, I implore you to go see it. Don’t wait for Netflix. If you have to wait for Netflix, watch it as soon as you can. This movie deserves to be seen, and by as many people as possible. Whenever/If it gets a blu-ray release, I will be buying it, no questions asked. If there is any way to support this movie, do so. It really is worth it. 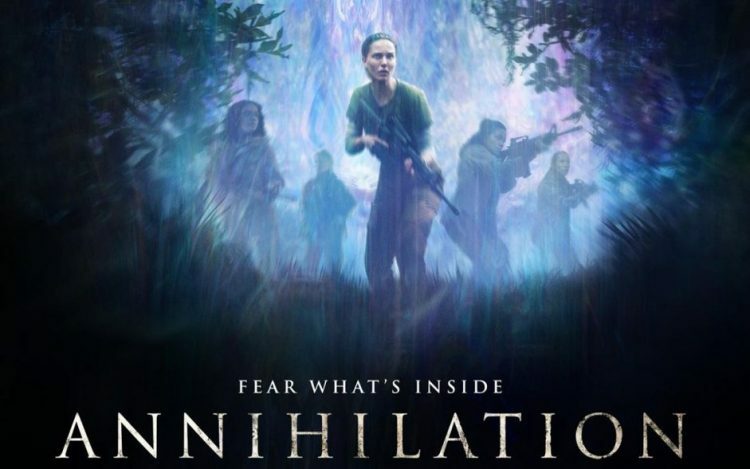 I honestly didn’t expect this much contention for top spot of my movies of 2018 list so soon, but for now, Annihilation sits in that coveted place. I think that pretty much says it all. This entry was posted in Movies and TV and tagged 2018, anticipated, movie review, movies, reviews. Bookmark the permalink. The vibe that I get from the previews is a reversal of Avatar as seen through a kaleidoscope. Not a fan of Natalie Portman to be blunt. She’s a fill-in because the other actresses were working on yet another Pirates of the Carribean plop. I can wait for Netflix. I’m just going by my impression not to be insulting personally. For all I know, when I watch it on Netflix, I will be kicking myself for not seeing it in the theater. Movie trailers for some time either give away the movie in less than 20 seconds or just confuse with 60 seconds of cut-scenes that don’t hint at a coherent story. On an unrelated tangent, I first learned about The War Against the Chtorr through a GURPS supplement. How bizarre, macabre, and grotesque. I have never read the books. Thanks for reminding me about them because that piqued my brain.